House Republican Lawmakers new legislation to combat heroin in DuPage County. (Springfield, IL) – Action by House Republican lawmakers to fight Illinois’ growing heroin epidemic was welcomed by addiction advocates who urged the lawmakers to strengthen their proposals. House Republican Leader Jim Durkin (R-Western Springs), State Reps. Dennis Reboletti (R-Elmhurst), Patti Bellock (R-Hinsdale), John Cabello (R-Machesney Park), and Sandy Pihos (R-Glen Ellyn) on Thursday announced a package of legislation designed to address heroin abuse. The Republican plan includes substance abuse treatment facility for DuPage County, increased criminal penalties, enhanced data collection, among other measures. Create a pilot program in DuPage County to establish a secure substance abuse treatment facility that will be a joint partnership between the state and county to serve as a “last chance” option for those convicted of drug crimes. Extend Illinois’ RICO statutes sunset date to 2022, which is currently scheduled to expire in 2017 and allow prosecutors to use a portion of the proceeds from seized assets accumulated by gangs to fund substance abuse treatment programs. Require each county’s Department of Public Health to track and periodically report the number of drug overdose deaths to the State. Enhance penalties for ‘Doctor Shopping’ to strengthen current law to prohibit patients from withholding the fact that they have received the same or similar controlled substance from health care practitioners within a specified time frame. Creates an educational initiative to promote the “Good Samaritan” law by distributing pamphlets to educate holders of opiate prescriptions about the dangers of children and teens gaining access to medications. Crack down on ‘krokodil,’ an often cheaper heroin alternative by enhancing penalties for the drug to be on par with those for heroin. The leader of Illinois’ top addiction healthcare advocacy group welcomed the House GOP package, but wants more substantive steps. Howe proposed increasing the current state prevention funding from its historic low of $1 million to $2.5 million. Since 2009, the legislature has cut drug prevention funding by 88% and drug treatment by 41%, Howe noted. And the challenge in DuPage, and elsewhere in Illinois, to blunt the heroin crisis is staggering, DuPage officials say. “Heroin use in DuPage County and across the state has hit epidemic proportions resulting in nearly one death per week last year,” said Robert Berlin, DuPage County State’s Attorney. “Meeting the threat posed by the growing suburban heroin epidemic requires the best efforts of parents, educators, law enforcement, public health officials and state policymakers,” said Bellock. 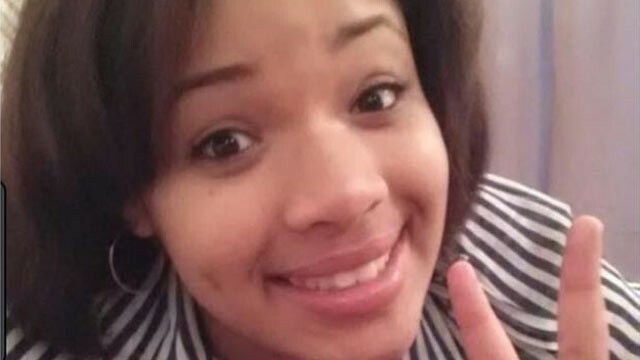 (Chicago) – Hadiya Pendleton was just 15 when she was shot dead near her Chicago school, the unintended victim of a gang battle. She died just a week after attending President Barack Obama’s second inauguration and became a high-profile name added to a growing list of people killed in America’s third-largest city. For six months, 48 HOURS Correspondent Maureen Maher and CBS News Correspondent Armen Keteyian have been investigating what’s driving the murder rate in Chicago and claiming the lives of young people like Pendleton. Maher and Keteyian’s reporting reveals a deadly link between street violence and drug trafficking in the city and in the suburbs. 48 HOURS SPECIAL: “The War in Chicago,” to be broadcast Saturday May 18, 2013 (10:00 PM, ET/PT) on the CBS Television Network, also focuses on what residents, city officials and the Drug Enforcement Administration are doing to fight back. 48 HOURS learns that it’s the estimated 70,000 gang members in Chicago who are doing most of the killing – and most of the dying – and mostly over one thing: the distribution of drugs. 48 HOURS is on hand as the DEA trains and then executes raids on drug dealers and mounts a new offensive to stem the tide of drugs, often heroin, flowing into the region from Mexico. 48 HOURS profiles Paula Nixon, a suburban teenager who became addicted to heroin when she was 16 and follows her from Cook County jail to treatment at IADDA member, the South Suburban Council on Alcoholism & Substance Abuse in East Hazel Crest. Nixon is the face of the growing demand for heroin, which then drives the gangs and the influx of drugs from Mexico. Also, David Muhammad, a retired diesel mechanic, tells 48 HOURS he’s had enough. Muhammad is so enraged by the drug dealing in his Chicago neighborhood he has risked his life by recording and then posting videos of drug deals on YouTube. 48 HOURS is there for the Chicago Police Department’s “surge” after Pendleton’s death, which helped substantially cut the murder rate. “We’re starting to hit a point that I’m hoping will be a turning point,” Chicago Police Superintendent Garry McCarthy says. By May, the homicide rate had dropped 53 percent compared to the same time a year ago. “We’re getting progress, not victory,” McCarthy says. After the tragic drug-related death of every child those words are uttered. There is a visceral faith in the power of prevention. Nevertheless, Illinois drug prevention funding falls as the first victim to Illinois budget cuts. And the Illinois Senate took the first step this week to follow Governor Pat Quinn’s lead to eliminate Illinois drug prevention. State Senator Heather Steans (D-Chicago) proposed a budget for next year to eliminate drug prevention services for more than 34,593 Illinois youth. “This budget will break the back of Illinois’ drug prevention system – which has proven outcomes in reducing youth drug abuse – at the same time a heroin and synthetic drug epidemic is sweeping Illinois,” said Sara Moscato Howe, CEO of the Illinois Alcoholism and Drug Dependence Association. Steans’ budget eliminates $2.6 million or 100% from the Illinois Department of Human Services Division of Family and Community Services for drug prevention, a cut that will cause 34,593 youth from receiving drug prevention services. In fiscal year 2008 Illinois spent $7.5 million in state money on youth prevention. “The days of heroin use being confined to the wrong people in the wrong towns are gone. 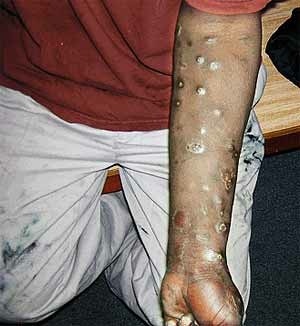 It is a plague of all communities, all incomes and all children,” said Wayne Hunter, Lake County sheriff chief of administration, Daily Herald, January 31, 2012. In Lake County, heroin deaths increased 130% from 2000 to 2009. In McHenry, in three years heroin deaths zoomed 150% higher. In Will County, in two years, deaths doubled. And an escalation of heroin deaths has also struck Winnebago County. 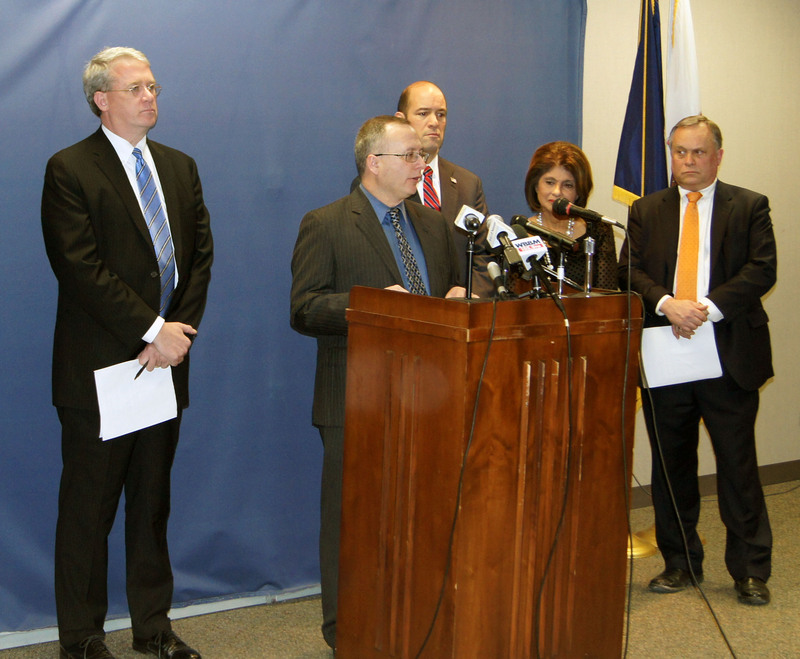 “In the last several years I have seen an increase in the heroin use in the Rockford area. I don’t think it is just the Rockford area I think it is across the whole country,” says Lt. Marc Welsh, Rockford Police Department. For the first three months of 2012, 23 drug-related deaths have been caused either by heroin or cocaine or a combination of the two, according to the Winnebago County Coroner. “If you follow through with the statistics we’ve had anywhere from the 50s to the 60s to the 70s as far as deaths for the entire year. If you follow this through we are going to have well over 100 this year. And this is only January, February and March,” says Sue Fidducia, coroner. “He was a good kid. You couldn’t ask for a nicer kid. But the drugs tore him to pieces, made him a monster,” says Dave Reine of Rockford, last week remembering his son, Daniel, who became addicted in his early 20’s died of an overdose at 32. In addition to heroin, synthetic drug use, like “K2”, “Spice” and “Bath Salts”, is an escalating problem among youth, said Howe. “Illinois had one of the highest call rates to the Poison Control Centers for these synthetic drugs in 2010 and 2011,” said Howe. “Year after year after year Illinois has tried to completely eliminate successful drug prevention programs to save a little money up front, but such a move just ignites youth addictions, while a heroin and synthetic drug epidemic is sweeping the Chicago suburbs and down state Illinois,” said Howe. (Springfield, IL) – April 22, 2011. A&E TV last week unveiled a new 45 minute documentary that exposes the escalating heroin crisis in Chicago and the suburbs as the State of Illinois slices its budget for drug treatment services. 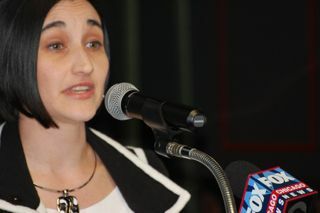 “The video footage was taken during the recent mid-year fiscal year 2011 budget crisis in which Governor Pat Quinn’s Administration had planned to eliminate all state treatment and prevention funding for the remainder of the year,” said Illinois Alcoholism and Drug Dependence Association CEO Sara Moscato Howe. The documentary depicts the efforts of several suburban residents struggling to overcome their addiction while state treatment service funding is squeezed by the state. “It is worth the watch,” said Howe. (Chicago, IL) – August 2, 2010. The Chicago Tribune‘s John Keilman on Sunday portrayed five lives–an addict, a cop, a mother, a landlord and a heroin survivor–that have confronted or are confronting the Chicago heroin crisis which is at ground-zero of a national crisis. Keilman zeroed in on the face of today’s heroin crisis: youth. But most who pass through the door are startlingly young: suburban teens and 20-somethings whose dalliance with the drug quickly became a consuming obsession. After looking at hospital admissions, drug test results and overdose deaths, Roosevelt University researchers concluded recently that heroin abuse in the Chicago region is more extreme than anywhere else in the country. And young suburbanites are a primary reason. They say the drug is alluring because it’s cheap and easy to obtain. It’s powerful, too, wrapping users in a numbing cocoon that seems to keep their troubles far away. That, of course, is a lie. The release of the Roosevelt University report has also triggered a fierce reaction by a top Illinois lawmaker. 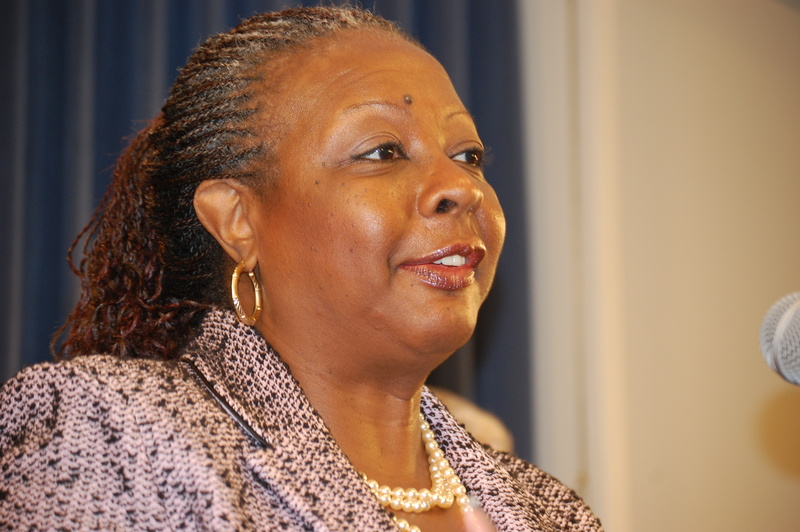 The study comes on the heels of Illinois budget cuts to state substance abuse prevention and treatment programs and has prompted State Senator Mattie Hunter (D-Chicago) to call on Governor Pat Quinn to reverse recent Illinois budget cuts to drug treatment services. Chicago's heroin crisis is striking at suburban youth. “To stave off the escalating heroin crisis in Illinois, I am calling on Gov. Pat Quinn to reverse the budget cuts to substance abuse prevention and treatment. These cuts are not the answer, neither clinically nor financially, for the serious challenges facing our constituents and our state,” wrote Hunter in a letter recently published in the State Journal-Register. Hunter notes that the report by Roosevelt University’s Illinois Consortium on Drug Policy reveals more people in Chicago and its suburbs enter hospital emergency rooms for heroin use than in any other big U.S. city and that heroin-related deaths have escalated in Chicago’s collar counties, as heroin use among young, white suburbanites has exploded. “As a certified alcohol and drug counselor with 18 years of experience in the field of drug treatment and prevention, I have seen first-hand the effectiveness of prevention and treatment. It works. And it is far less expensive than the emergency room and prison costs that will inevitably result in the wake of this crisis,” said Hunter, Chair of the Senate Human Services Committee. Hunter’s appeal to Quinn for drug treatment funding restoration is drawing praise from a top drug prevention and treatment advocate. 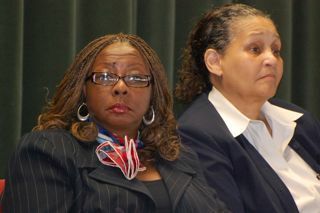 State Senator Mattie Hunter (D-Chicago) wants Gov. Pat Quinn to restore funding for drug treatment. “Senator Hunter’s letter underscores the critical need for our services and reminds the public of the dangers of cutting the addiction prevention and treatment system. We are grateful to Senator Hunter for lending her voice to this issue,” said Sara Moscato Howe, President of the Illinois Alcoholism and Drug Dependence Association. According to Howe, the Quinn Administration cut funding for drug prevention and treatment by 22% last year and this year sliced another 8% while imposing an additional 3% budget “reserve”, meaning at least 2,500 people will lose treatment this year and approximately 1,000 youth will be cut off from prevention services. “We can’t fight this heroin crisis raging in Chicago’s suburbs while our budgets are slashed; prevention services eliminated; and treatment care dismantled,” said Howe. (Chicago, IL) — While the Chicago-area has been earning the infamous distinction of having a heroin abuse problem more extreme than anywhere else in the country in the last decade, according to a new report, Illinois has cut its drug prevention and treatment by more than 30% in the last two years. The new state budget proposed by Governor Pat Quinn will slash Illinois drug prevention treatment for more than 2,500 Illinois residents, including drug prevention for 1,000 youth. “For those of us in the drug prevention and treatment system, the explosion of heroin abuse among suburban Chicago youth is something we already knew,” said Eric Foster, Chief Operating Officer of the Illinois Alcoholism and Drug Dependence Association, referring to a new heroin usage report released today by Roosevelt University. “Governor Quinn’s budget cuts to the Illinois addiction healthcare system will eliminate care for more than 2,500 people, including drug prevention for1,000 youth,” said Foster. Since 1995, the number of Illinois women in drug, alcohol treatment has surged 41%, but Quinn this year is still cutting treatment services by 8%, which will toss more than 2,500 out of treatment, of whom nearly 1,000 are women. Quinn’s budget cuts to the Illinois Division of Alcoholism and Substance Abuse budget for community treatment providers and funds for addiction prevention for community prevention providers are on top of a 22% cut last year. “Relentless budget cuts are forcing the Illinois addiction healthcare system into a death spiral and women and youth confronting heroin are increasingly suffering the brunt of the budget pain,” said Foster. In FY 2009, there were 89,909 individuals receiving treatment services, down from 101,105 in FY 2008, an 11.6% decrease. “By further strangling the drug treatment system, threats to public safety by heroin will boil over,” said Foster. In 2009, a resurgent heroin crisis killed more than 100 people in Northern Illinois alone, a crisis that is zeroing in on local teens. Meanwhile, Quinn’s proposed budget will eliminate drug prevention for more than 1,000 youth. (Chicago, IL) — Since 1995, the number of Illinois women in drug, alcohol treatment has surged 41%, but Governor Pat Quinn this year is still cutting treatment services by 8%, which will toss more than 2,500 out of treatment, of whom nearly 1,000 are women. Quinn’s cuts comes on the heals of a 22% budget cuts that the Governor imposed on substance abuse prevention and treatment services last year, according to Sara Howe, CEO of the Illinois Alcoholism and Drug Dependence Association. Additionally, in 2009, a resurgent heroin crisis killed more than 100 people in Northern Illinois alone, a crisis that is zeroing in on local teens. Meanwhile, Quinn’s proposed budget will eliminate drug prevention for more than 1,000 youth. at a community forum to discuss the cost and impact of untreated addiction and to protest Quinn’s budget cuts to prevention and treatment services. (Joliet, IL) — April 1, 2010. The forum “The New Face of Heroin Addiction: Illinois Teens” drew more than 150 people on Tuesday to Joliet West High School on Tuesday night. The number of deaths in Will County caused by heroin overdoses has almost doubled from 15 in 2005 to 29 in 2009. Over, the five-year period, there have been 86 heroin deaths, said Bob Brenczewski, chief deputy of the Will County Coroner’s Office. Illinois is spending $5 billion or 14 percent of its budget on the consequences of untreated addictions, such as criminal justice costs and domestic violence. But only $147 million is spent on prevention and treatment services, said Sara Moscato Howe, chief executive officer of the Illinois Alcoholism and Drug Dependence Association. “The heroin crisis is escalating because the state can’t put as many prevention workers in the schools,” she said.